Brand new update to the outdated "Facebook Themes". 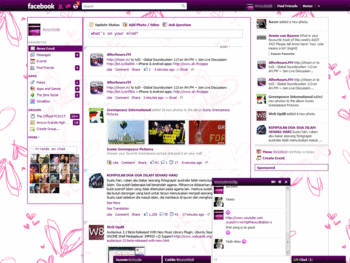 to allow you quick and easy access to available Facebook themes and styles to change your layout. To select or change your theme/style, access the options from Chrome's extension settings (chrome://chrome/extensions/) or in the upper-right 'Themes' menu from Facebook.